A NEW BAR RUNNER AND BAR MAT DESIGN FROM FAT DAD. DIGITALLY PRINTED POLYESTER SURFACE WITH A RUBBER NON SLIP BACKING. Approx size - 60 cm l x 12 cm w.
Corona Felt Bar Runner Brand New. Free postage. Bar runner. Thick rubber. Heavy duty. Approx size - 60 cm l x 23 cm w.
THIN RUBBER BACKED BAR RUNNER. APPROX 440mm X 240mm. A Stunning SAN MIGUEL Lager - Beer Bar Runner NEW. Condition New -. Fosters Super Chilled rubber backed bar runner. 82cm x 21cm. GROLSCH LAGER THICK RUBBER BAR RUNNER. 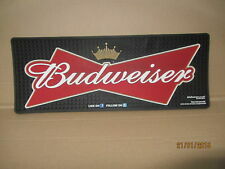 Carlsberg Bar Runner Brand new in pack . 23 inches long Rubber backed Condition is New. Dispatched with Royal Mail 2nd Class. Here we have a New Corona Extra Rubber Bar Runner which is still sealed in cellophane and in Unused condition. Heavy black rubber, great molding detail on logos. 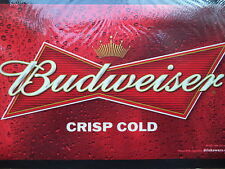 Amstel Bier Lager Amsterdam Shed Bar Beer Runner Mat Towel Man Cave Garden BBQ. Carlsberg Fosters Kaliber Bar Towels . Condition is Used. Dispatched with Royal Mail 2nd Class. Heineken Lager Beer Towel.. Condition is Used. Dispatched with Royal Mail 2nd Class Large Letter. WHITE CARLING TOWELS ALSO AVAILABLE. 1 UNUSEDBAR TOWEL. OR FOR THE COLLECTOR.